Anyone who has built enough guns knows that occasionally we slip up and the drill misses the mark. I've picked up lots of hardware for little money because it had been previously used and had pin holes drilled already. These holes are easily filled with a threaded rivet and a touch of tin solder. Sometimes triggerguards and buttplates have screw holes in them as well that need to be filled. 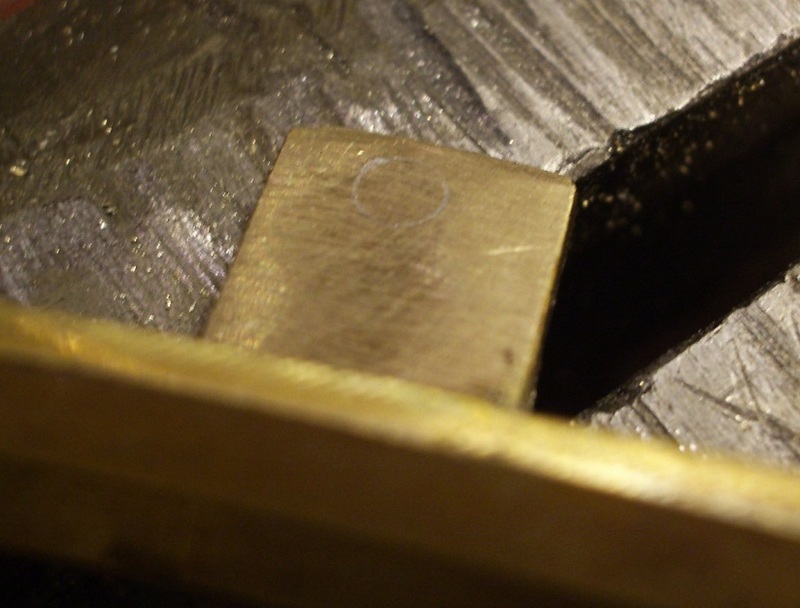 For these I use the same process but use larger bolts and high temperature brass color silver braze to make an invisible repair. 1: I drill out .062 pin holes to to .09" and then tap with a 4-40 tap. You can use a smaller tap, but I find 4-40 to be a better balance of size, making the task easier and with less worry about breaking the tap. 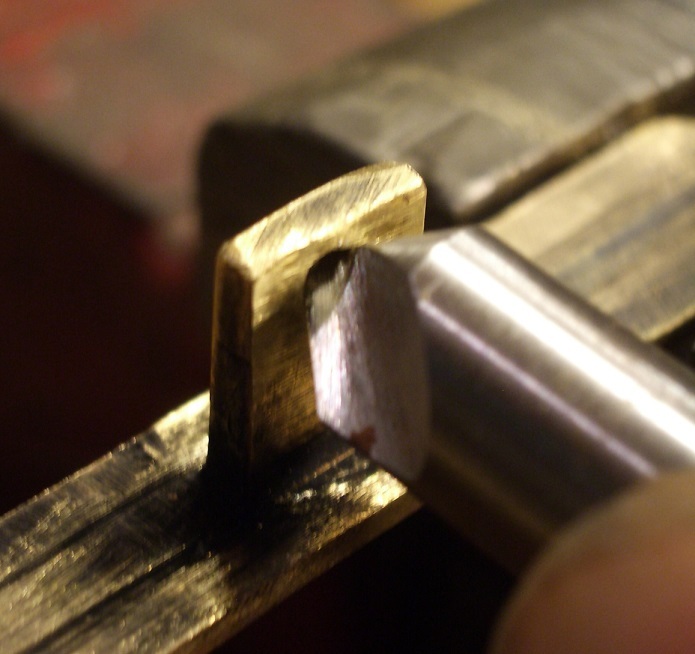 2: Use a countersink to slightly chamfer the hole and create a recess in which to peen your threaded rod into like as rivet. 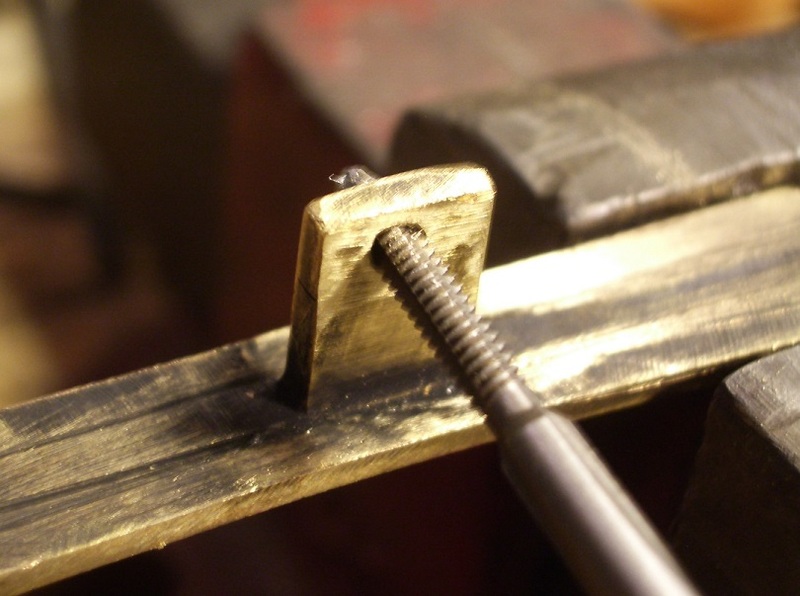 3: I usually use a flat head 4-40 brass machine screw, but for these photos I used a threaded brass rod. Once screwed into place, cut off the end, and coat liberally with paste flux. I peen the cut-off section into the tab. 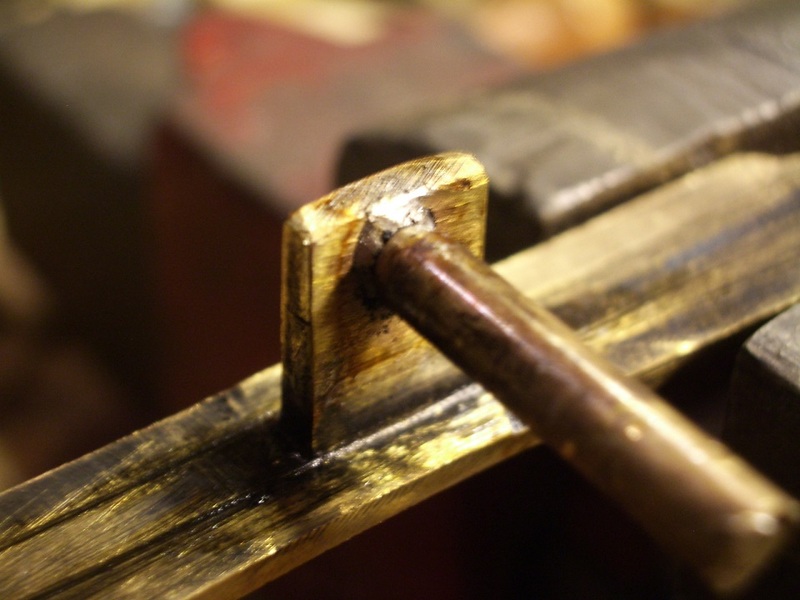 4: Once soldered into place, cut off the ends of the screw and file flush with the tab.